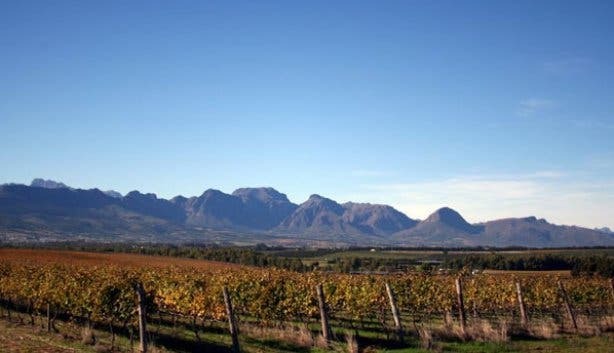 The Spier Wine Farm in Stellenbosch is known for many things: it’s one of the oldest and most popular wine farms in South Africa, its vino is amongst the most acclaimed in the country and the owners are avid supporters of local artists. But over the last couple of years, the farm has also differentiated itself with its commitments to becoming a fully-fledged sustainable farm. Farmers who conform to this agricultural approach strive to create a balanced and diversified farm ecosystem that generates fertility, as much as possible, within the farm itself. Sustainable farming expands on traditional organic, sustainable methods with an interconnected, ‘farm-as-an-organism’ philosophy. On an even broader level, the whole farm does its bit for sustainability by adopting a very forward-thinking biodynamic farming approach. 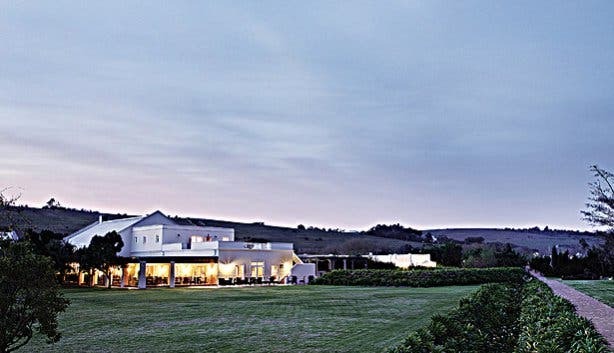 This organic agricultural method works in harmony with the environment’s natural cycles to rear healthy, happy cattle and hens and cultivate plump vegetables and legumes, all of which go directly to the winery’s on-site Eight restaurant or the hotel’s elegant dining space. The emphasis is on adding vitality to the plants, soil and livestock. Furthermore, a careful consideration of the earth’s natural rhythms (moon cycles, for example) is a key principle. 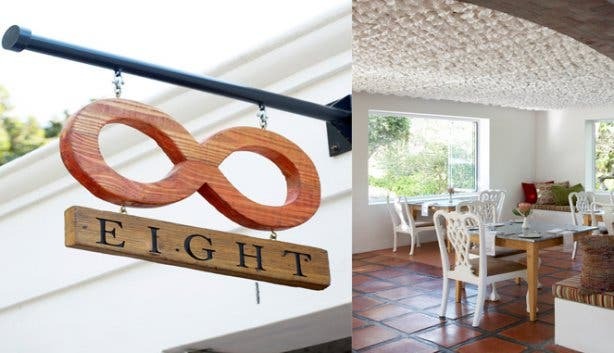 So what does this mean for Spier’s flagship lunch spot, Eight Restaurant? Well, for one, it positions the kitchen as an essential and active component in the sustainable farming process, and it also means that the eatery can offer guests dishes that comprise fresh, nutritious and, perhaps more importantly, flavourful ingredients. 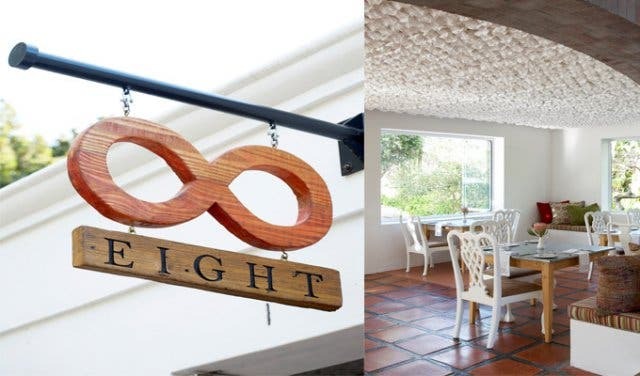 In essence, Eight facilitates one of the most authentic farm-to-table dining experiences in South Africa. “All of the ingredients that we use in the kitchen are sourced, where possible, from the farm itself. 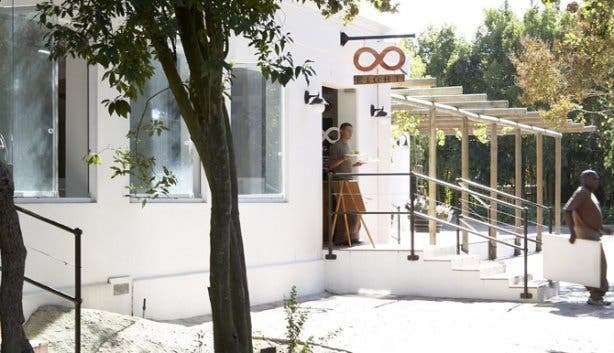 The beef come from the cows on the farm and the eggs come from the chickens - it’s a biodynamic farm and we try and keep the loop closed,” elaborates Charl Coetzee, the restaurant’s self-taught head chef who is also in charge of curating Eight’s seasonal menu. 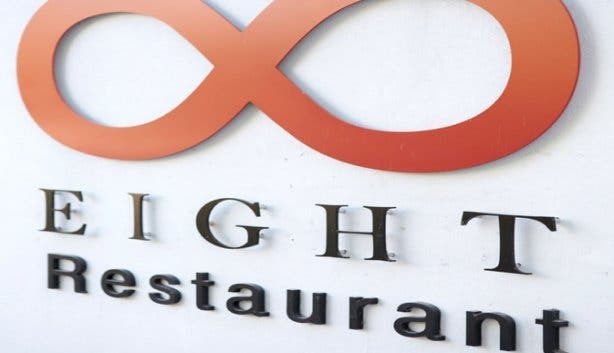 Charl is just one of the key players in achieving the “closed loop” (as symbolised in the restaurant’s number 8/infinity logo). The other important figure is John Turner, who manages Spier's on-site vegetable garden. 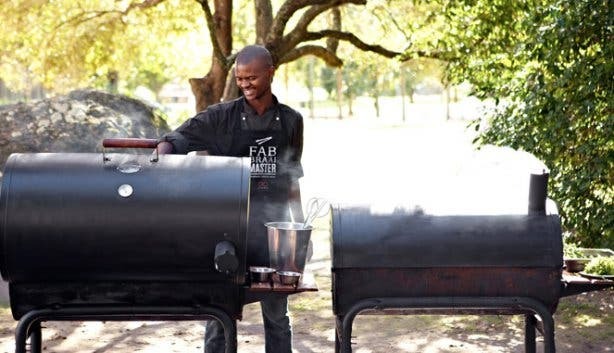 The third essential member in the farm-to-table process is Spier’s resident ‘barefoot farmer’, Angus McIntosh. Farmer Angus, as he is affectionately known, employs sustainable principles in the raising and rearing of the farm's cattle and chickens. 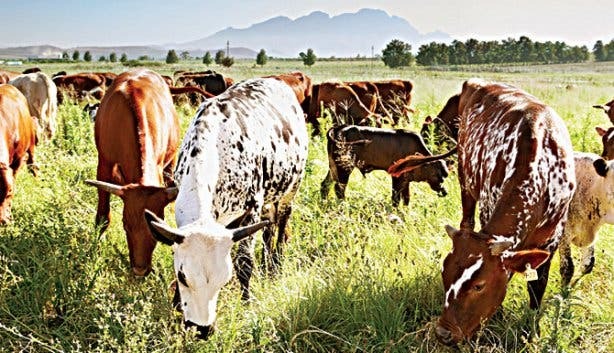 For the cows, the former investment banker uses a method called ‘mob grazing’ that allows the cattle to graze the top third of the grass plant (the most nutritionally beneficial bit) before moving them along to forage elsewhere on the expansive lands. This facilitates optimal grass growth and ‘carbon-negative beef’. Similarly, the chickens are pastured-reared and regularly relocated, and the laying hens are housed in movable “egg-mobiles” that facilitate an ethical free-range existence for them. Thus, the restaurant is supplied with ethically reared, top-quality beef, chicken and eggs, and in turn, the chefs combine these ingredients into uncomplicated but mouth-watering dishes that accentuate the natural flavours of the food. To put it quite simply: diners will taste the difference. Eight serves brunch, lunch, afternoon tea and dinner (on Thursday, Friday and Saturday evenings) and its blackboard menu changes daily according to what is available and what has been harvested, but previous options that have graced the menu include roasted free-range chicken with a leek and mushroom pie; a flank steak with anchovy, Parmesan and braised lettuce; and braised short rib with chilli, coriander and homemade gnocchi. 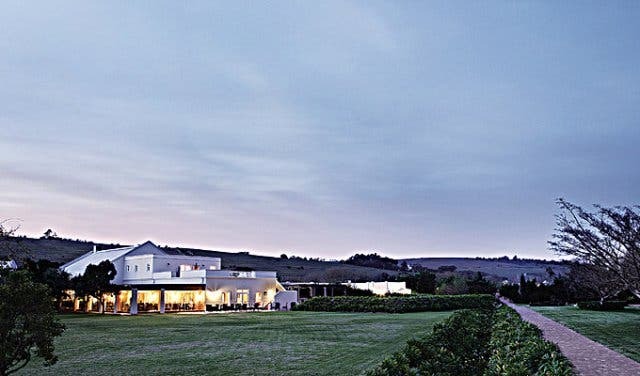 A children’s menu is also available so little ones can tuck into healthy and hearty meals after they’ve frolicked on Spier’s sprawling lawns. 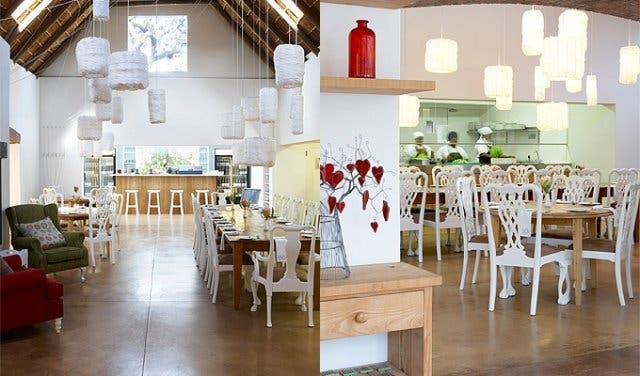 The eatery, which is housed in a renovated cow shed, also features design and decor elements that speak to its dedication to sustainability. 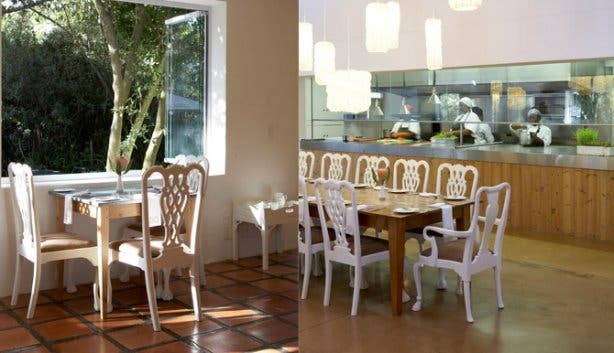 In keeping with its “closed loop” approach, some of the furniture from the previous restaurant was recycled and incorporated into the farm kitchen-esque aesthetic, while the new pieces were mostly constructed out of reclaimed wood. 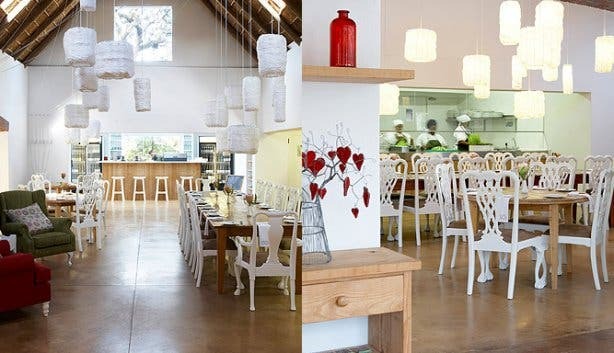 Additionally, Spier commissioned renowned South African designer Heath Nash to custom- make Eight’s light fixtures and a ceiling feature that is made up of more than 10 000 plastic ‘flowers’- all of which were made from recycled milk bottles. 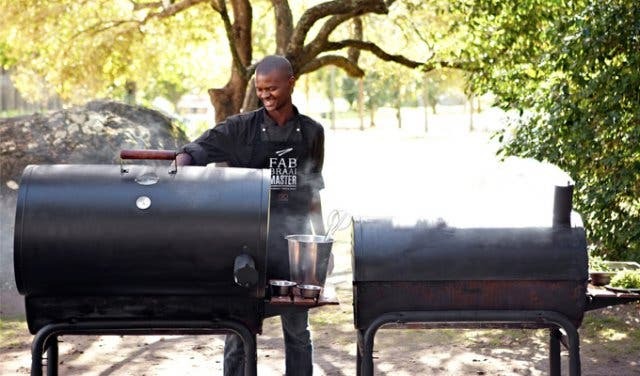 So, considering the above, the forward-thinking folks at the Spier Wine Farm in Stellenbosch could not have selected a better name for their eatery that is pioneering the farm-to-table dining experience. Tip: Visitors wanting to have a picnic on the farm’s gorgeous surroundings can purchase a pre-booked picnic basket from the restaurant’s pop-up deli, Eight to Go. There are gourmet, vegetarian and raw foods options, and guests can expect everything from home-baked breads and farm cheeses to fruits and olives. The picnics need to be booked 24 hours in advance by calling + 27 (0) 21 809 1100 or by ordering online at picnics.spier.co.za. Do note: While Spier always encourages visitors to explore and enjoy the farm, Spier does not allow guests to bring their own picnic baskets. The Bill: Due to the ever-changing menu, specific prices are difficult to determine. 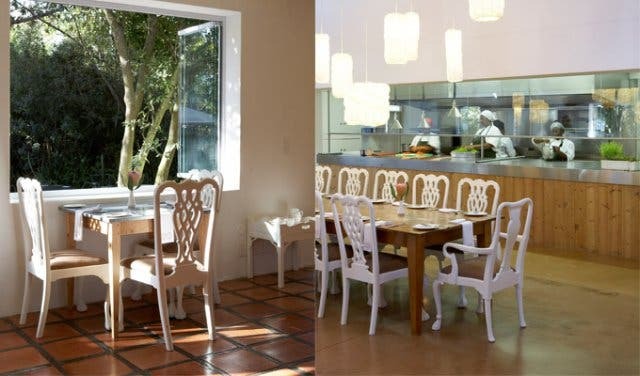 But guests can expect to pay anywhere between R60 and R180 for a main dish and R60 and R70 for desserts. Come laugh out loud in the Winelands at Comedy in the Vines. 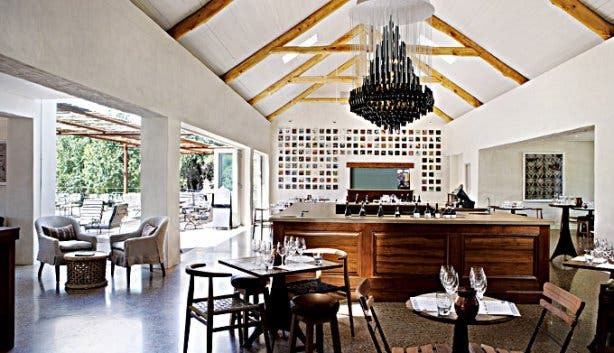 Eager to explore this pioneering wine farm? Read about Spier’s awesome Segway tours.